Late in 2018 my run with test driving Ford vehicles was about to come to an end when a call came in asking if I would like to extend test driving by a week with a Ford Mustang GT. That was NOT a hard decision. “Yes,” I almost yelled into the phone! 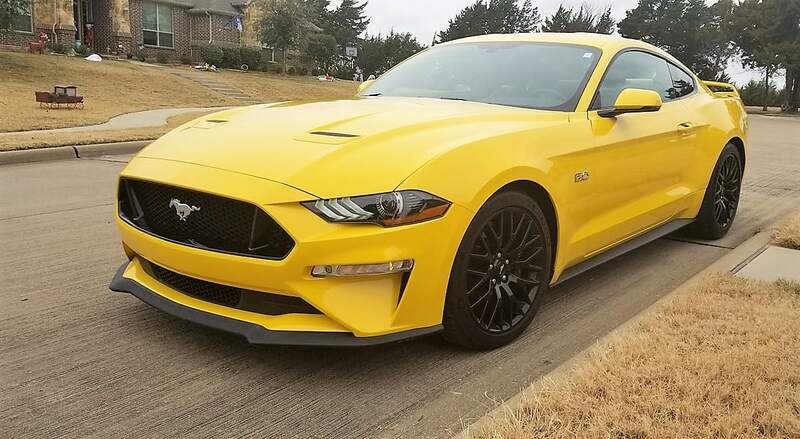 The next Monday when a bright Triple Yellow Tri-Coat Mustang GT pulled into the driveway, the whole family was thrilled. Hunter exclaimed “I want to be the first to ride in it!” I knew the Mustang would be the highlight of our holiday break. The six liter V8 was mated with a 6-speed manual transmission which meant it would be even more fun to take to the freeway. On one of our first drives, my wife posted on Facebook “I had forgotten how much Marlon loves ‘speed’ but he’s reminding me this week in his press car, the Mustang GT” She posted that along with a photo of the car while on the road and probably gripping the side of her seat for dear life. The next words out of her mouth had something to do with how many police and state troopers could be on the road. Was I speeding? I’ll never tell! I can’t say that the Mustang GT had as much room in the back as a few other vehicles we have tested, but there were no complaints from the two munchkins who occupied them. The thrill of a new Mustang was enough compensation for us all. I found the transition from gear to gear seamless as well as fun, as I marched from zero miles per hour up to as fast as I felt safe in sixth gear. It was just as easy to downshift as we came to slower traffic or stop lights on State Highway 287. I can’t say that about every manual transmission equipped vehicle I have driven. Since I began using a manual shift when I was eight years old driving a tractor on the farm, I feel that I’m as close to being an expert on the subject as one can be (our farm truck was also a manual as was our car at the time, a Ford Maverick, so when I got old enough to drive them I was already accustomed to the system). 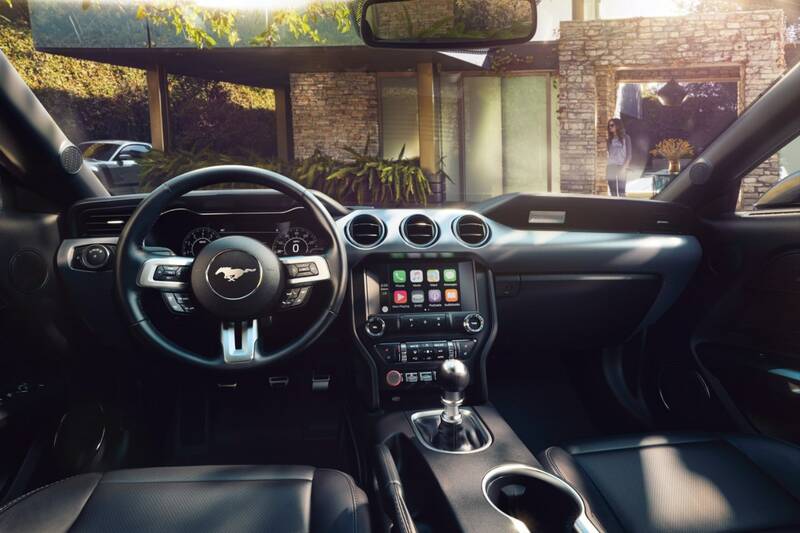 The interior of the 2018 Ford Mustang GT is striking as well as comfortable. Heated seats, real wood trim, a wireless charging station and USB ports, and a myriad of other features were reminders I was driving a vehicle laden with all the latest in technology. A perfect beginning to the Christmas season in a car that perfectly answered my need for speed. Thank you Ford for returning the Mustang to its iconic status in the world of sports cars!